Listen to "Light of the Stars: Alien Worlds and the Fate of the Earth" on your iOS and Android device. Light of the Stars is science at the grandest of scales, and it tells a radically new story about what we are: one world in a universe awash in planets. 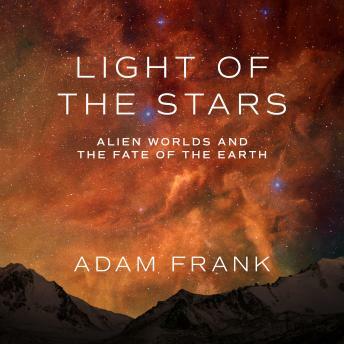 Building on his widely discussed scientific papers and New York Times op-eds, astrophysicist Adam Frank shows that not only is it likely that alien civilizations have existed many times before, but also that many of them have driven their own worlds into dangerous eras of change. He explains how dust storms on Mars, the greenhouse effect on Venus, Gaia Theory, the threat of nuclear winter, and efforts to prove or disprove the plurality of worlds from Aristotle to Copernicus to Carl Sagan have contributed to our understanding of our place in the universe and the growing challenge of climate change. And he raises what may be the largest question of all: If there has been life on other worlds, what can its presence tell us about our own fate?